I can see why people would ask that. Blogging has been around for 20ish years and has been a popular online pursuit for well over a decade now. Educational blogging is developing a solid history too. Edublogs, which is the world’s biggest educational blogging platform, was established around 2005 and has hosted over four million blogs. Often in the world of education and technology, certain tools have a limited life span. Remember Google Reader, Flip video cameras, iPod Touches…. As I experiment with various tools, I always find myself considering their longevity. This is just what teachers do. We don’t like to use tools for the sake of it. I also understand that blogging isn’t for everyone. I have been a blogging cheerleader of sorts for nearly a decade. I have used a variety of different means to teach educators about blogging. Yet, only a percentage of those I have assisted really take off with blogging. I think you will realise though, my answer to the question of whether blogs are dead is no. I don’t think blogging is dead at all. However, it is a medium that is constantly evolving. Of course in the world of education, evolution is worth embracing. So why is blogging still relevant today? The simple reason is because blogs are so flexible and offer so much potential. They’re more than just a tool with a defined purpose. Blogs are simply websites. The only real difference between a blog and a traditional website is that it is generally updated more frequently and usually offers interaction in the form of comments. Well, obviously not. The world wide web is all about websites in a variety of formats. Furthermore, 28% of sites online are powered by WordPress. This is also the most popular and highly regarded blogging platform. 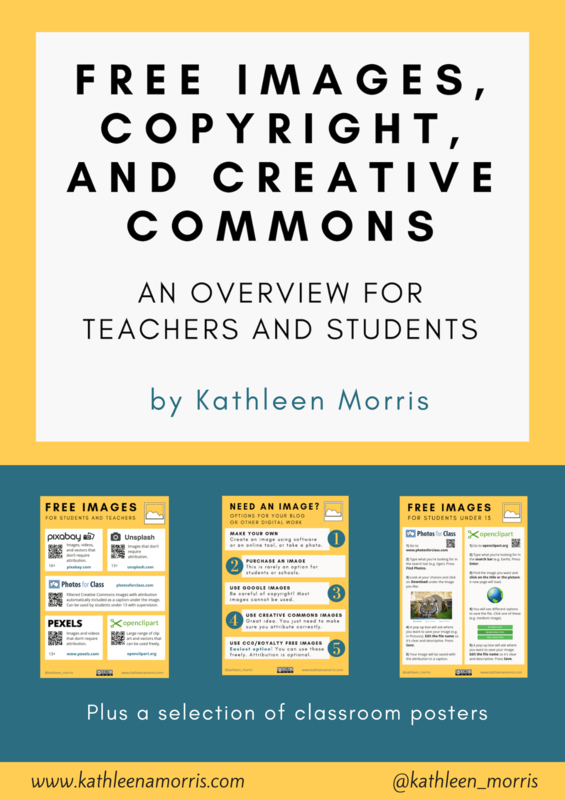 Whether a blog belongs to an educator, a class or a student, it provides an online hub. It’s a place where all the bits and pieces you create and explore in the online and offline world can be housed. Blogs don’t trump other online platforms and tools but they do provide a home for them. What’s the point of making videos, slideshows, essays, infographics, ebooks, podcasts, posters, photography, polls, charts and more if they’re just disorganised all around the web? Having a hub or home for your creations allows you to organise your thoughts and present them to an authentic audience. A blog is also something you can own. In some ways, blogs are analogous to classrooms. Classrooms have changed. They used to be the standard desks in rows with the chalkboard out the front. Now they are flexible. They can be indoors or outdoors. Flipped or traditional. They can be open plan, collaborative, at home, online; the possibilities continue to expand. Essentially, a good teacher sets up a classroom in order to accommodate the needs of their students, while adapting the space with students as required. Blogs can be the online equivalent. Even if you’re spending a lot of your time outside the four walls of your physical classroom, you still need a spot to store bags at the start of the day, eat lunch and collate your work. It’s the same with blogs. They can simply be your online home that you come back to every now and then. Blogs can be used how you see fit. I have written extensively about the benefits of blogging. I believe many of these positive outcomes could not be achieved as well in the classroom without utilising a blog. Take global collaboration, for example. Sure, there are many other ways you can collaborate with classes around the world. You can use tools like Skype, Google Docs, Twitter, Padlet and so on. However, nothing compares to having an ongoing home where information can be stored and visitors can drop by inside and outside the parameters of a particular project. Similarly, I have always believed blogs provide an unmatched avenue for teaching about digital citizenship in an ongoing and authentic way. A lot of digital citizenship advice comes down to thinking before you post. This is a habit that can be discussed, modelled and practiced daily with a public blog. 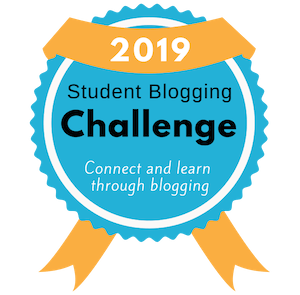 Blogging offers students the chance to develop relevant ICT skills such as multimedia creation, embedding, hyperlinking, using tags and categories, coding with HTML or CSS, and widgets. With WordPress powering more than a quarter of the web, these are certainly authentic skills that can be used in the ‘real world’. Blogging doesn’t just teach ‘blogging skills’ either. There are countless other ICT skills which are universal to so many digital tasks: saving files, logging in, changing settings, understanding icons, keyboard shortcuts etc. These sorts of tasks can be taken for granted but are always worth teaching explicitly to enhance your students’ digital fluency. Finally, blogging offers students an authentic audience beyond the immediate classroom community. Readers from across the world can be invited to view student work on a public blog which provides enormous benefits. Clive Thompson is well know for describing the rise in student motivation and output through producing content for an authentic audience. A phenomenon I have experienced myself. the effort of communicating to someone else forces you to think more precisely, make deeper connections, and learn more. Isn’t this what we want for our students? Ten years ago you could probably tell the difference between a blog and a standard website pretty easily. The blog would have posts displayed in reverse chronological order, pages up the top, a sidebar with links etc. The lines have now blurred and blogs can look anyway you want them to. Using a platform like WordPress gives you the option to customize your online presence to best accommodate the needs of your students and/or your community. In the age of personalised learning, this approach is highly beneficial. What about blogs in the real world? Even if you have little interest in the blogosphere outside of educational blogging, you’re probably aware that there are many popular blog niches, from fashion to food, travel to parenting. Some are simply journals while a growing number are involved in sales or affiliates in some way. The popularity of content marketing continues to rise. Many businesses now use tools like blogs to educate, inform or entertain on a topic in an effort to maintain and grow a customer base. This fact might seem irrelevant to educational bloggers, but I believe it shows that blogging is a medium that continues to expand and is going to be of growing importance when students progress from education to employment. Or, for the more entrepreneurial student, while studying. We all know the popularity of social media continues to grow and evolve. Is this competition for blogs? Not really. I feel like the two platforms can work hand in hand. The brevity of social media can be advantageous and it’s a great way to establish and maintain relationships with readers, however, a blog also provides other advantages. Blogs offer the potential to create more long-form writing with the advantage of interaction or feedback through comments. Blogging can naturally invite more crafted works, whereas social media can often be more spontaneous. Of course, social media can be used to promote your blog content too. In some ways, there has been a demise of RSS and traditional email subscription for blogs, with many readers opting to be notified of new content via social media. Or preferring people they follow to curate links for them. When thinking about classroom communities, we can’t forget to meet parents where they are at. If they are on social media, we should explore the possibilities of informing and interacting with families on those platforms, while inviting them to connect on a deeper level on our blogs. Social media and blogs can complement each other. Blogging isn’t dead but some aspects of blogging have certainly retired to the graveyard along with dial up, web 1.0, AltaVista and floppy disks. The 2017 K-12 Horizon Report which highlights upcoming trends and developments in educational technology, not surprisingly, does not mention blogging. And why would it? Blogging has established itself as a home, a medium and a vehicle for exploring so many avenues. The Horizon Report mentions coding, virtual reality, artificial intelligence, digital literacy, STEAM, authentic learning experiences and more. All areas which can be either embedded, explored, learnt or reflected on through blogging. If you’re experimenting with blogs as online homes that bring together different media and personalise learning experiences while connecting with others, I believe you’re onto a winner. As with all areas of schooling, the best educators constantly reflect on practices, collaborate, observe, research, learn and evolve. 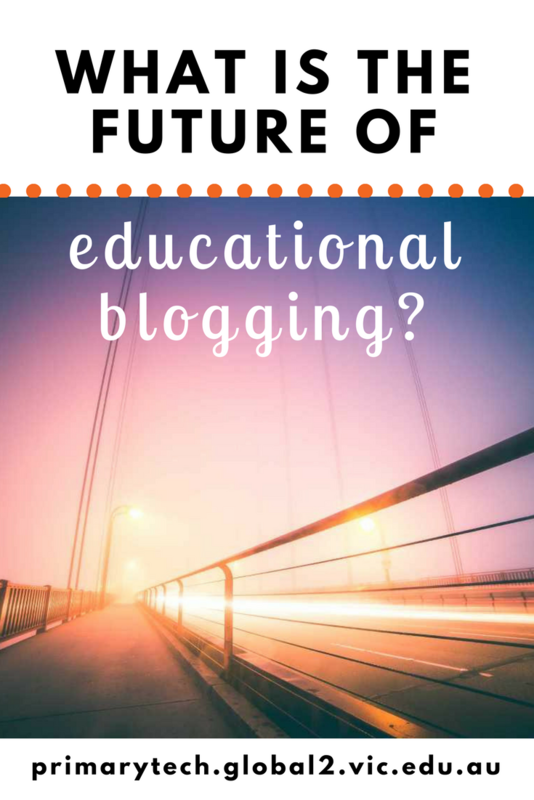 With this outlook in mind, the future certainly looks bright for educational blogging. What will the future of blogging look like for you? I believe we come together as a school, in classes, to make meaning together. My blog has certainly enabled this. I’m a bit like a wandering minstrel in my current role of ICT Literacy teacher, working alongside teachers in a range of classrooms each day. The blog has enabled me to quickly set up workflow tasks, assessments and online collaborative spaces. In the one sit. I feel the blog is at its best when students pose their own questions or when we communicate with a global classroom. Or the class next door. No, definitely not dead yet. As long as I make it a two-way channel! So great to hear from you!I love your description of ‘wandering minstrel’. I’m sure your lucky teachers love working with you. I agree with you about the student question and collaboration. And you’re right about it possibly being the class next door. I recently saw a quote from George Couros which was something like – what is the point of forming global connections, when you’re not connected in your school first? I found this very thought provoking. How do you find the voicemail tool on your blog? Do students embrace it? I’d love to know. The voicemail tool is not well used at the moment. I’m not promoting it enough, and don’t seem to have a specific use for it. Flipgrid has been a hit this year. I always thought Voxer had potential for global sharing with students, but never got around to it. Hey, you and Kelly kickstarted my blog pathway quite a few years ago in your Geelong workshop. I can’t thank you enough! Ah yes, that’s understandable about the voicemail tool. Fun to try out, nonetheless. I would love to try Flipgrid sometime. I’ve read a bit about it but haven’t tried yet. I had never heard of Voxer and just looked it up. How cool! Google killed blogs, I ran a successful blog 10 years ago, it was top ten in my country according ranks sites, I had had 10000 new readers per week … but our earnings were just 100 usd per year. Interesting perspective, Luis! On a related note, I found this blog post from Seth Godin interesting the other day. It’s an open letter to the Gmail team asking ‘please don’t kill the blogs’.